Ovenden takes charge of Ford's biggest European market. Veteran Ford Motor Co. sales executive Mark Ovenden, who has led the carmaker's operations in Russia for the past three years, is the new head of Ford of Britain. 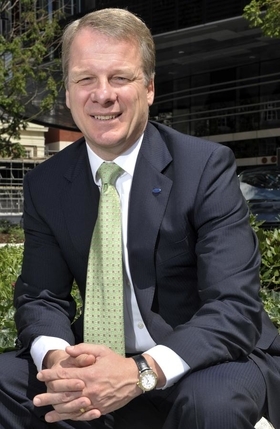 Ovenden left his position as marketing director of Ford Britain in 2006 to join the Ford's management team in Russia. He was appointed managing director for the fast-growing market in January 2010. In Russia, the UK national presided over a period of rapid business growth for Ford and was heavily involved in the establishment of a new joint venture with Russian automaker Sollers, a key part of the company's European growth strategy. Roelant de Waard, Ford of Europe's head of marketing, sales and service, said Ovenden's wealth of experience makes him ideally placed to manage Ford in the UK, the carmaker's biggest European market. Ford sold 181,800 new cars in the UK in the first half, giving the automaker a 15.3 percent market share. Ovenden takes on his new role on August 15. He replaces Nigel Sharp, who, on reaching 65, has elected to retire after 39 years with Ford. Ford announced other management changes in the UK. Andy Barratt will become director of sales, moving from his role as director of Ford customer service division. He replaces Jon Wellsmen, who will assume Barratt's role. Anthony Ireson has been appointed marketing director, moving from his current position as head of dealer operations. Ireson replaces Mark Simpson, who will lead Ford's sales office in Russia, moving from his current role as head of marketing at Ford of Britain.